One of the advanced options available in the Windows Recovery Environment is System Image Recovery, this gives the user the possibility to restore an exact copy of the operating system he had installed when he made the system image. The only down-side to a system image is, is that it uses a huge amount of storage space, to be precise, it uses the same amount of storage space as your using. Windows will scan all available options, wait for this process to complete. 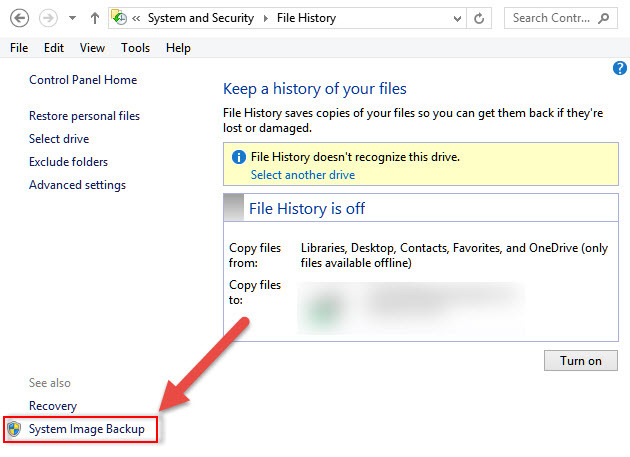 You can now choose where to make the backup, on a hard drive, on one or more DVDs or on a network location. The smartest thing to do, is to use an external hard drive or use a network location. After you’ve selected the location, click on Next. You will now have the possibility to select which drives should be contained in the System Image. The operating system drive is always included! F0llow the steps on the screen, the backup will be created and saved on the location you specified. Windows should not automatically search for the location of the System Image, make sure you have your hard disk connected. The process will start, wait for it to complete and follow all instructions on the screen.